For your information to be seen on the ‘net, it must be “hosted” on a computer permanently connected to the Internet. That computer uses special web server software, which allows your web pages to be shown to people who want to see them in their web browser. Remember… you are operating a business using a medium that (usually) requires you to build trust before people will buy from you. really doesn’t say “trust” and inspire confidence with your prospective “customers” as much as having your own domain name does. Various “domain name redirection” or “web / mail forwarding” services can be used to “hide” the URL of your ISP web space behind your own domain name. While such services address the professionalism issue, please remember that ISP’s usually impose strict limits on what you can do with your free web space. For example: small limits on the amount of traffic (number of visitors) allowed; no access to interactive scripts to enhance your site; no log files to find out who is visiting. The key word is “personal”. These are NOT designed for business purposes! And Heaven help you if your ISP goes “under” or you need to move to another ISP… Your business is gone, forever! Much better it is to own your own domain name, and point it to a “real” web server… to a space which is “yours”… and one that can be moved anywhere in the world with little interruption to your business. 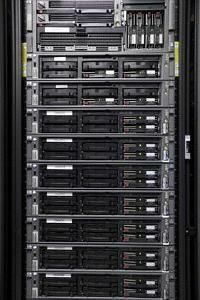 There are hundreds of free web hosting services available on the Internet. These are usually funded by insisting that their advertising is displayed on your web pages. Will that fit with your business image? There is little point in trying to save a few bucks by using a free hosting service, considering that “paid” web hosting starts from under $10 a month. The cheaper paid hosting services are called shared hosting. Often there will be hundreds (or maybe even thousands) of web sites all hosted on the one computer, “sharing” the resources of that computer. While having a paid service is no guarantee of avoiding any of the problems mentioned above for the free hosts (except for the forced advertising one), a paid web hosting company should provide better customer service and more features. In most circumstances, shared web hosting will be fine for the vast majority of small business web sites. Your “problem” will be locating a web hosting company which suits your needs. I can tell you, I’ve been through a few of them in my time online 🙂 I can almost move sites in my sleep having done it so many times looking for a reliable hosting company. Currently I’m using four different hosting companies. Of these only this web host stands out because it offers tremendous value, features and service for your small monthly investment! Once your visitor numbers start to build up, or you start using more server resources than a shared host is willing to provide, you’ll need to look into going to the “next” level. The type of service I’m talking about here are the VPS (Virtual Private Servers) or even dedicated hosting. Since prices start from $50-$250 a month, you better be pretty serious about your online business before taking this step! Some people entertain the thought of running their own server – either on their home broadband connection (NOT a good idea as the speeds will kill it, even IF your ISP allows it) – or have their own server co-located in a data centre. Unless you have lots of time available to manage the computer, and guru knowledge on how to do it, I’d strongly suggest that it is just not an economical use of your resources to do things this way. There are several new sites like Squidoo.com or Hubpages.com that allow you to build your own pages… so “technically” you don’t even need your own web site to get your business on the net. But again, since you don’t actually “own” the content (i.e. it doesn’t live on YOUR domain) lots of work could go down the drain if you do something wrong and your account is pulled! These pages are great for building links and sending traffic to your main site, but they are no substitute for having your own site! When looking for a hosting provider, please look for those who offer cPanel with Fantastico. Having these two programs available to you is going to make your life so much simpler! I strongly suggest you look to the Ultimate Marketing Centre for your web hosting needs! Why? Just go look at what you get for the price! And the free training from David Vallieres which is included will literally knock your socks off! It should almost be required reading for new internet marketers! Oh… (touch wood, hoping I don’t jinx myself) …my UMC server has had absolutely no downtime since I joined last year! Speaking of David Vallieres Sign up for his newsletter to get his free ebook “My Personal Blueprint for Making $1 Million Online” – it’s a great read! Keep in touch with what's new here! Subscribe to my email alerts. Thanks for mentioning Squidoo! If you haven’t already, now is a great time to get started building lenses and cashing in on commissions, charity donations, and exposure for yourself and your business. Why not take a peek at http://www.squidoo.com ? Good article. I should point out that most of the free hosting accounts do not allow you to host anything on a database therefore you can not host WordPress blogs in most situations. Everything in the review is great info for someone starting out.